If you are an international student, attending college or university in the English-speaking country, you might know that this language can be quite tricky. The necessity to write your papers and communicate with peers in the Shakespeare’s language is something you have to face over and over again. However, even if you make mistakes on your way – it’s natural to feel uneasy and lose your self-confidence. But remember, dear non-English speakers, there is no result without mistakes! Below we have gathered some tips and tools to help you improve your English academic writing skills. Hopefully, this links will come in handy! Grammarly is number one tool for improving your English writing skills and a safety net for those who always gets confused by all those prepositions and articles. 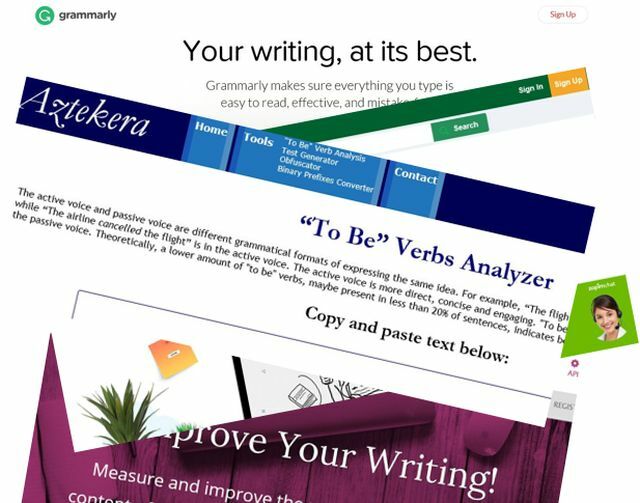 Grammarly is an online text checker, which moves beyond your Microsoft Word in correcting mistakes. This tool knows how to fix more than 200 types of errors and suggests better word choices and synonyms to improve the content of your paper. In fact, if you will be attentive and accurate, you will become a better writer very soon. Just try to pay attention to the most common mistakes you make, remember them and avoid them in the future. Thesaurus is a website you should add to your arsenal of academic writing tools and use it regularly. Improving and expanding your vocabulary is crucial for becoming a better English writer and Thesaurus offers exactly this. There you can type a word and Thesaurus will show you a number of synonyms and antonyms, which will enrich your language and help you express your thoughts better. This tool offers a huge base of words and using this website will make your writing easier. Instead of scratching your head and trying to remember “how to say this but using other words” just open Thesaurus. If you need a really quick and effective help with your essay or any other academic paper – visit Student Share. There you will find a great base of research papers, term papers, reviews, narrative essays and other writings to serve you as templates and guides for your own papers. Student Share is different from other common websites because it stores high-quality, well-structured and correctly formatted papers in different areas of study, composed and shared by English-speaking students. This resource allows you to become a part of an online academic writing community, getting papers and sharing your own writings with students. Take a look at the articles you read in your favorite newspapers, magazines and online blogs. There is one thing all of them have in common – they successfully connect with a reader. And the connections appears because of their readability, an aspect which many writers are unable to note and evaluate when creating content. Even if your grammar and spelling is perfect, the readability of the entire text is something that needs special consideration. As you know, there is a passive voice and active voice in English. And maybe you already know that passive voice is not actually accepted in academic writing. Some tutors hate passive voice as much as that they even underscore papers which include it. Active voice is used in formal writing since it is more straightforward and concise. But sometimes you include passive constructions in your content without even noticing that. On the contrary, passive voice makes a non-persuasive tone. Aztekera is a free website to help you eliminate passive sentences in your papers. So use this tool to get rid of those needless constructions! As far as you know that college students often struggle with writing academic essays and research papers. There are a lot of free essay samples and step-by-step writing guidelines which they may consider helpful for academic writing. But sometimes these solutions are not useful enough if students need someone who can write their papers for money. WriteMyPaperHub.com is one of the best custom essay writing solutions on the market. There is an excellent opportunity to pay and hire a freelance academic expert to get a custom-written essay of outstanding quality. So, once you have looked through a list of the most useful websites to improve your English academic writing skills, which one seems to be the most helpful for you? Maybe you have any other ideas? Share your thoughts in the comments below.